Work to improve a prison, once branded one of the worst in Britain, has been praised in a new report. The Independent Monitoring Boards (IMB) report on Chelmsford Prison praised the new governor Nigel Smith for his work to make it a "first-class prison". 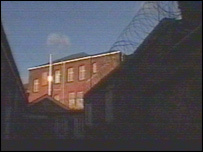 A report in 2003 expressed concerns about the prison and in 1999 it was called "dreadful" with "unacceptably bad" conditions of cleanliness. The 2006 report highlights areas where improvements are still needed. The computer workshop "staffed by enthusiasts"
The introduction of a resettlement clinic for prisoners with three weeks left to serve on their sentence.